This shop-made arbor wrench solved a long-standing irritant for me: how to change a table saw blade without stressing the blade? This wrench has an opening that fits onto two narrow slots on the table saw arbor, locking the arbor so I could undo the nut that held the blade. The flats were too narrow for a regular wrench, which is why I didn’t just go out and buy one. 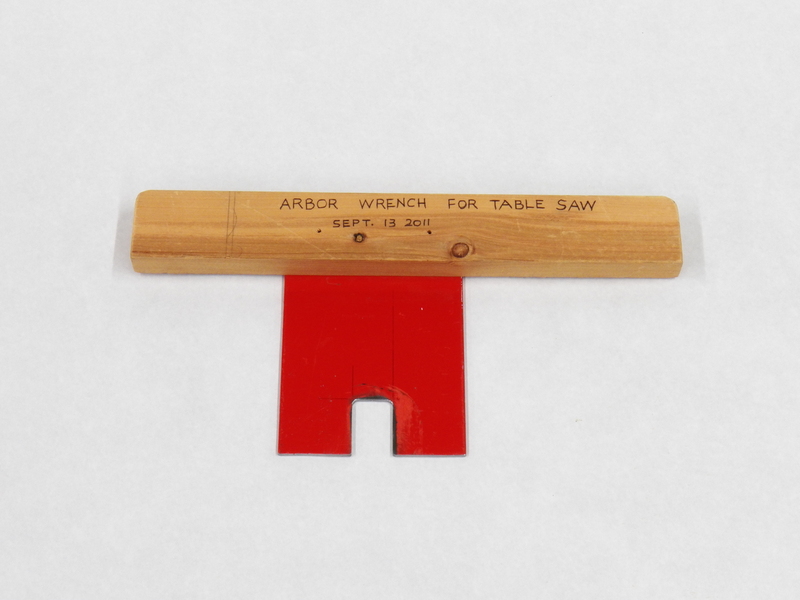 The old, conventional methods for undoing a table saw blade were to jam a wedge of wood between the blade perimeter and the saw table opening. 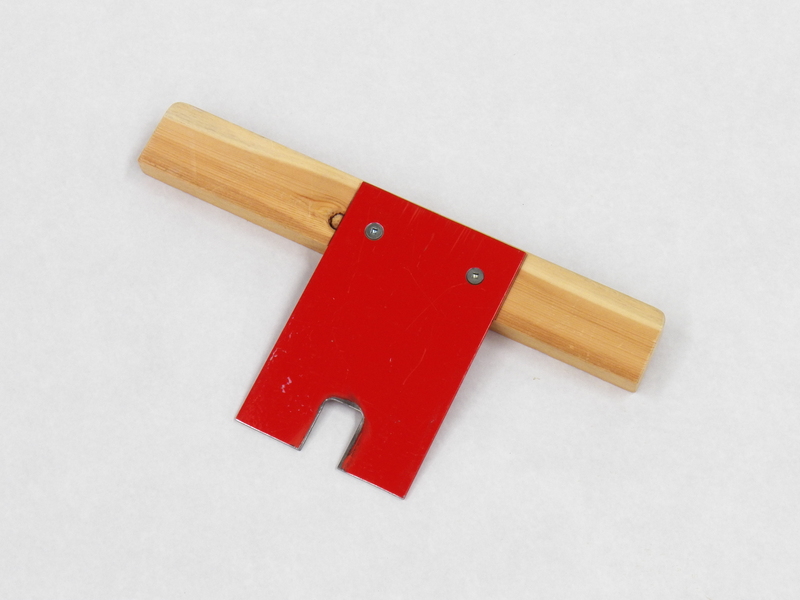 There were also commercial grippers that grip the blade to stop it from turning while one applies a wrench to the nut. One magazine advised rapping the nut wrench to loosen it, relying on the blade and arbor inertia. None of these methods satisfied me. A table saw blade is a precision tool. Prying against the teeth risked bending it out of plane by a few thousandths, never mind breaking teeth. Rapping the wrench posed the risk of hitting something else by mistake. This tool is made from a piece of steel that I had saved, and a scrap of wood. It supports itself in place, the wood resting on the table. It is too big to fall inside, and it is noticeable enough that one would not likely leave it in place. The wood also makes a nice place to lean one’s hand while pulling on the nut wrench with the other hand.